We Buy NJ Houses LLCNeed To Sell Your House Fast in NJ? We Buy Houses in NJ! individual who will represent you in the execution of your last wishes after you’ve passed away, hence the need to pick out a person whose character, dependability and integrity are in agreement with your needs and values. That notwithstanding, Executors face a number of challenges when selling a home through probate. 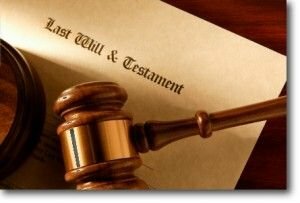 Consider the size of the deceased’s estate directly proportional to the challenges of the Executor, the larger the probate estate, the harder the Executor’s work. For probate estates valued in the millions, you’ll be kidding yourself to think that you can handle it all on your own. You will definitely need some expert help in auditing and valuation, because such big estates are predisposed to taxes on both the state and federal level. As an Executor, you’re mandated to oversee the settlement of all the estate’s liabilities and taxes should be top on that list. This is a sensitive and serious aspect that should be treated with as much gravity for larger estates attract more liabilities. One of the greatest fears that many Executors confess to is that of financial liability otherwise known as fiduciary responsibility. Countless expenses are incurred when selling a house in probate. As if that’s not enough, the entire probate process is expensive enough, leaving more and more people strongly considering any other alternatives just so they can avert probate. In reality, Executors are not expected to dip into their pockets per se (unless if voluntarily), but it is their responsibility to ensure tip-top management of the deceased’s estate; and with an expectant survivorship looking up to the Executor for their inheritance, any additional expenses funded from the estate are a burden enough. There are countless situations that could bear dissatisfaction from the heirs and beneficiaries, with the Executor on a strategic receiving end. Discontentment and discordance amidst the beneficiaries can be the most emotionally overbearing challenge Executors face, and it doesn’t make it any easier if the Executor is a member of the deceased’s family, or one among the named beneficiaries. There could an unimaginable number of reasons for tension amongst beneficiaries of an estate (with jealousy and inbred rivalry coming top on the list). It’s unbelievable how heirs can become utterly stubborn and difficult to deal with! They can adeptly complicate the Executor’s work with issues such as sibling rivalry, perceived “unfair sharing” among many other concerns (petty or otherwise). The beneficiaries undeniably come out tops as the greatest culprits in making the Executor’s life as unbearable as can be during the entire probate period. Would you rather buy your takeout straight from the counter or get it at home after you’ve had to enter a contract with the food joint, given them your credit card details, home address, health records (food allergies and all)—the whole nine yards? A great deal of protocol is involved in the selling and buying of probate houses, and home buyers aren’t the biggest fans of such protocol, wouldn’t it be easier to just get your takeout without the formalities of a travel visa? From not-too-pleasing disclosure forms to appearances at court hearings and a transaction that could take so long to mature; it’s not hard to see why many buyers shy away from houses in probate. On the flip side, some home buyers believe that they can strike a better deal and hence get greater bargains when buying a house in probate and this could be a selling point for Executors looking to make a quick-home sale. It’s one thing to find a buyer and a whole other to get a good price, both of which can prove challenging for the Executor, and especially to those with no prior experience as executors of an estate. The procedure in selling my probate house is grueling, complicated, thorough and most importantly, governed, legally bound and carried out under the strict direction of probate courts. The duration could be shorter if the Executor is granted full authority to process the transaction without necessarily going to court for an approval. However, if the Executor acquires limited authority to sell the probate house, then it could take a long while before the house is actually sold. It could be anything from a few months to over a year, between the Executor’s petition to sell the house and the actual transfer of property title to the new owner. For everyone’s sake, it’s important not just for the Executor to know this and hence be psychologically prepared, but also for all other involved parties to get in on this fact. The beneficiaries could cause a stir if it takes longer than anticipated, and the buyers might threaten to sue. By putting everyone on the same page, you’ll be making your life and work so much easier. From dealing with multiple parties to acting as the pacifist among feuding beneficiaries, to being liable as a fiduciary trustee of the estate, the Executor’s job is not as fun as shooting hoops but it doesn’t have to be as hard it’s imagined to be. If you’re elected as an Executor, know what’s expected of you, acquaint yourself with the highs and lows of the job! Spent my whole life in New Jersey. I have personal and professional experience in real estate, financial problems, foreclosures & short sales.